“[Women’s] visibility in urban spaces is key to claim the right to the city. Cycling is a particularly powerful way for women to become visible in the society and a complete new way to interact with the city,” so goes the opening phrase on the Fancy Women Bike Ride site. 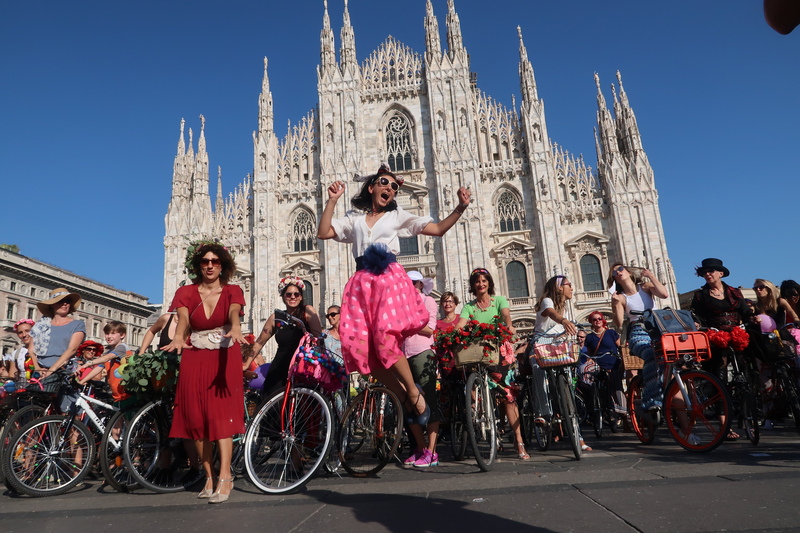 Since 2013, Fancy Women Bike Ride has been committed to spreading this message in cities across Europe, bringing women together to ride in style. The idea for these events began in Izmir, Turkey. Fed up with the blokey traditional cycling scene, Sema Gur and Pinar Pinzuti decided to make their own rules. 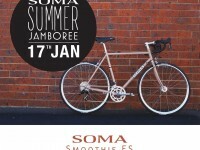 “[We] decided to make an anti-lycra and anti-performance bike tour,” Pinar explains. 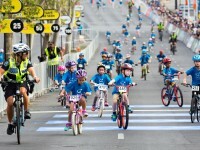 “What started with a small bike tour among friends, evolved into a big movement. The Fancy Women Bike Ride provides the occasion to give more visibility to women in the society and to ask for cycle-safe cities,” she reflects. 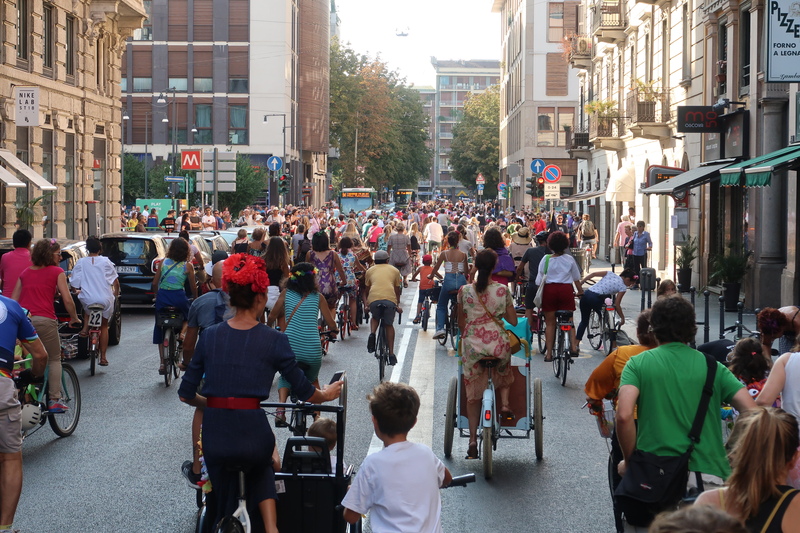 Every year, Fancy Women Bike Ride is held on World Car Free Day in destinations all over Europe. This year, rides were undertaken in Cologne, Germany; Bern, Switzerland and Milan, Italy. The guidelines for Fancy Women Bike Ride are as follows (although, they note “these are not strict rules”). 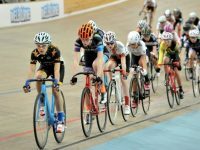 It’s thrilling to see an event that champions women cyclists in all forms going from strength to strength. Pinar, for one, is wholly devoted to the cause to encourage women everywhere to hop on a bike, no matter what they’re wearing. “I rediscovered the beauty of cycling when I was 22. Now it’s impossible to convince me to use any other means of transportation,” she comments. We know the feeling.